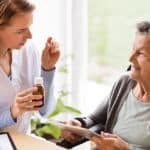 Patient engagement is “an integral part of health care and a critical component” of safe consumer-centric services, according to the World Health Organization (WHO). Patient engagement helps promote mutual accountability and understanding between patients and health care providers. Engaged patients are more aware of their care options and better able to practice self-care. To deepen patient engagement, healthcare organizations are turning to technology to educate and enlighten patients about their condition and their ongoing treatment plan. Patient portals are not necessarily preferred by patients. A 2016 Software Advice poll indicated that patients are frustrated with the design and UX of portal tools. 41% of the poll’s participants shared that they had given up on using portals after being overwhelmed with an inability to navigate options; 37% of patients were frustrated by a lack of staff response via the technology. Instead of relying on a static portal, healthcare organizations are now embracing the dynamic nature of video, email, text, and SMS to reach patients via their devices. 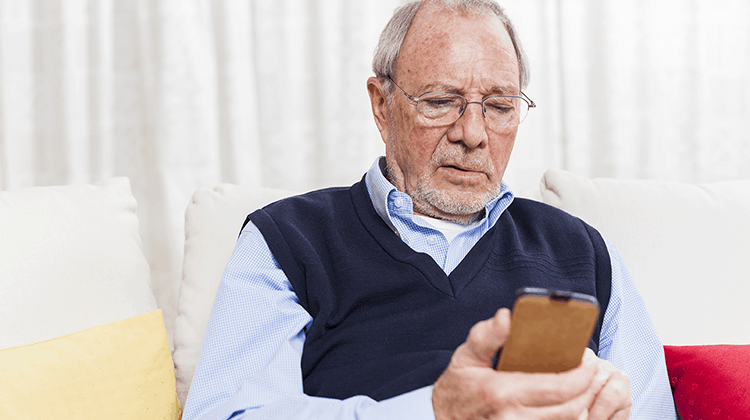 As a result, patients are receiving timely and thoughtful appointment reminders, medication updates, and healthcare messaging in a manner that reflects “how” and “when” they use technology on a daily basis. 92% of Millennials own smartphones, compared with 85% of Gen Xers (those who turn ages 38 to 53 this year), 67% of Baby Boomers (ages 54 to 72) and 30% of the Silent Generation (ages 73 to 90). 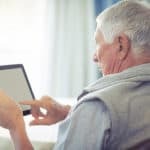 Although the Silent Generation lags behind other age groups in device ownership, 25% of this segment has a tablet computer and 23% use social media. In comparison, more than half (52%) of Boomers own a tablet computer many (57%) currently use social media. 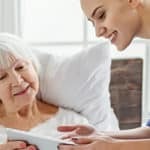 Patients appreciate being able to access post-discharge care and participate in virtual visits from the comfort and convenience of their home, on the device of their choosing, in the modality of their preference, and in their primary or preferred language. With a virtual care platform, providers can design and schedule emails, texts, and SMS based on the preference of each patient. And, patients can use a smartphone, tablet, or a video camera-enabled PC to participate in virtual visits and communicate with their providers via video, email, text, and SMS.